Oh that was soooooo good!! Great case, and an even greater Morgan/Reid moment!! I love it!!! Oh I hate to say I know who is stalking the team. Don't worry -I will not tell.Just say he is a someone from a episode that had a photographer. Yes !!!!!! Great episode I'm glad Mark Gordon started a new season..... loved the softball game. Way to go Reid!! Wow, this season is fantastic. Great storylines, terrific team interactions, and actual profiling! Love, love, love this season. I hope the episodes continue at this pace. A good episode. It was super creepy, and the two actors who played the unsubs were so believable, sometimes i found it hard to watch, especially with the dogs. An interesting story well written and acted. The lighter moments with the team balanced it out, Morgan and Reid softball game was sweet, JJ was awesome as ever and little Henry gorgeous, and Hotch and Rossi talk on the plane and Garcia wasn't over the top. All up i enjoyed this episode. What is the real name of the seargent that guest starred on tonights episode?. The Fallen was a good episode, Paget Brewster was right when she said to watch it, (Oh how i miss her). This was a good fit for Rossi and he looked so fit and healthy, another well written episode, also like that Morgan and JJ are paired up more in the field. Now, as for Alex Blake, still not finding this character likeable, not sure what she adds to the team, as we have Reid and he can do what she can, the character feels wooden and has no personality or warmth, not sure what the intention here is, but it's annoying, I'm sure Jeanne Tripplehorn is a nice person, maybe the roles not a good fit for her. This is only my personal opinion and no offense intended to fans of this character. I have a question that is not exactly on topic... Has any1 heard about the cast signing new contracts because most of them were up this season, and I keep hearing them talk about doing another season long unsub arc next year!!! The Wheels on the Bus was an interesting episode, moved along at a fast pace, wasn't their best but still enjoyed it. I too love the discussion threads, and it's ashamed that it has slowly disappeared, maybe they only want positive comments posted, but the reality is, in the real world their will be positive and negative opinions, and all should be respected. Not sure what happened to freedom of speech here ?. P S. Common courtesy cost nothing, so please can you let us know if their is no more discussion threads at this site. Thank-you. Have not watched the latest episode, so no comment. Sindee is in LA right now and that is why the blog is a bit behind. Things will go back to normal when she returns. I too am glad to hear there is a reason behind the lag in the discussion threads--Love the show and love talking about it! Enjoyed Magnificent light, and also enjoyed reading through the chat w one of the writers last night, can't wait to see what happens with the stalker. 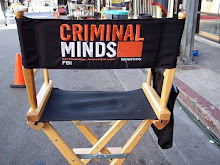 Thank-you Criminal Minds Fan, for the update, it is greatly appreciated, glad to hear things will get back to normal soon. As for Magnificent Light, i really enjoyed this episode, had a good story and the team work was good. MGG did a great job directing, i thought the woman who worked in the morgue was strange and left a more lasting impression with her small scene. The story didn't feel real to me, the original 6 cast members did great with what they had to work with here. Season 8 has had some good episodes but it doesn't have that team family feel about it anymore,i am bias here, but maybe Erica might try and talk Paget into returning to the show for good next season if there is one. I love CM but missing the awesome team (Family) that was. I should clarify, i know Paget leaving the show was her choice, it is wishful thinking on my part in hopes of her return. I have watched with frustration this Alex Blake character, in ten episode my opinion has not changed, the character portrayal is so irritating, she is so wooden has know warmth to her, i don't find her sincere and she lacks any kind of chemistry with the team, thus making her very unlikeable. The bright side is that we have the other six to carry us through Hotch Reid JJ Rossi Morgan & Garcia have amazing chemistry together, even their facial expressions say more than words. Alex Blake just doesn't fit in. I know i'm venting here, it's just my personal opinion. it is not my intention to offend fans of this character. This episode Perennials was Ok , not sure the direction the show is going in now, has kind of lost the magic of previous seasons, yeah, I found this episode so far fetched too, the cast did well, i especially like that Reid is using his brain a lot more to solve cases and Hotch and JJ were just awesome in their scenes. Excuse me for my English., Not very good. I think that this episode will be very sad and not end well. I think the stalker is the girl, who probably feel resentment by Maeve and eventually want to take the most important to her, Reid. It means Reid will be compromised to save, and still not going to make it. I'm sure this episode will be one of the best of Season 8. Ack, still no new discussion thread?? Oh well, will post here. I still can't decide how I feel about this episode. Poor Reid, the kid has been through so much. Its sad how almost everyone had lost someone at this point. 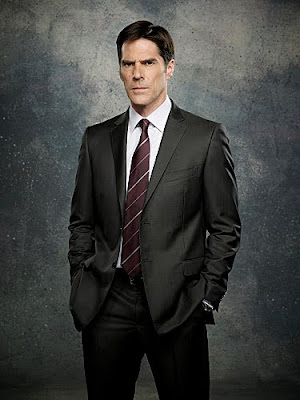 Hotch, Gideon, and Reid have all lost someone they love. The men of the BAU can apparently not have relationships? I thought it was terrible to only allow Reid this relationship for 12 episodes, and for them never to have a face to face. THAT part I found to be unrealistic. Given the pathology for the Unsub though, its not surprising she thought out a way to off them both (guessing it was intentional). #1-Are they setting MGG up for a psychotic break? Because if he leaves the show, Shemar Moore isn't going to be enough to keep me watching. Still miss prentiss. But seriously, how much can one genius handle. #2-Team stalker is not Maeve's stalker. 2 stalkers in 1 season. Hmmm, interesting.